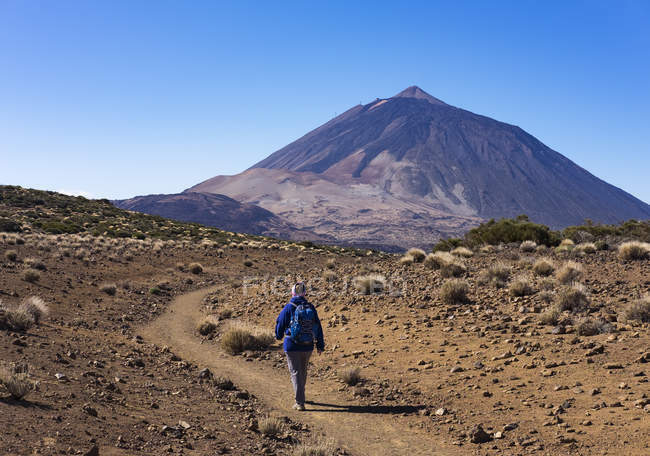 "Spain, Canary Islands, Tenerife, Roques de Garcia, Mount Teide, Teide National Park, Female hiker on hiking trail Ruta Arenas Negras" is a stock image by Westend61. It’s available in the following resolutions: 1600 x 1123px, 2600 x 1825px, 4896 x 3437px. The minimum price for an image is 149$. Image in the highest quality is 4896 x 3437px, 300 dpi, and costs 549$.